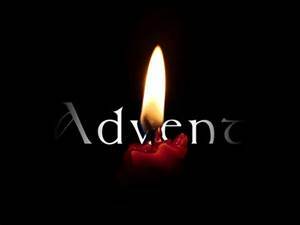 The Advent season begins November 27th. Celebrate the first Sunday of Advent, November 27th by making an Advent Arrangement for your home. This activity is for all ages and will take place between services at 10:15 am in the Fellowship Hall. Each family will design their own arrangement complete with LED candle to take home and enjoy in the weeks before Christmas. An Advent Devotion booklet will also be provided. Please let Martha R. know by November 20th if you would like to participate so there are enough supplies (mrau08@verizon.net). Celebrate the days upcoming to Jesus’ birth and the meaning of Advent with a hand-made arrangement to teach and remind us of the beauty of this season. The Mission at 21015 Great Mills Road, Lexington Park, MD is a faith-based organization dedicated to helping those in the community in need. This week leading up to Christmas, The Mission is having a week filled with Christmas events and Christmas dinner. There are few, if any other places that we know of in St Mary’s County that offer a free meal on Christmas Day to those people who have no place else to go. The Mission is in need of a few items for their Christmas Dinner and still have a few spots open for volunteers from 3:00 – 6:00 pm to help with food service and clean up. Anyone wishing to help volunteer or provide supplies, please contact Brenda Myers at 760-902-8648. Beginning at 5 pm–wrapping party for the community Christmas party on Dec 19th. 70 children are signed up and have been invited to the Christmas Party to learn the true meaning of Christmas and receive gifts to be opened on Christmas Day. The party is from 12 – 5 pm for the 70 kids invited. They are still looking for a Santa, Mrs. Claus and elves with their own costumes for that day. Additionally, last year the kids had a great time doing simple crafts, activities and riding around the block in a fire engine. If you can help out in any way or have suggestions to make this a memorable party for the children as they learn the true meaning of Christmas, please contact Brenda Myers. A donation of finger foods and desserts for the kids to enjoy would be greatly appreciated. Final night of Mike’s Bikes Turkey Dinner distribution. Dec 25th – Christmas Day Dinner for everyone!! Join us for great food & fellowship!! Can you imagine NOT having Christmas dinner this year? For over 1500 families in St. Mary’s Country this is a reality. and canned goods for a traditional Christmas dinner. We need cash, food, and helpers! To make a donation or to volunteer, please call 301-863-7887. The 2014 Angel Tree was a great success! We helped 40 children in 13 families have a brighter Christmas. Thank you to everyone for supporting this ministry! The church office will be closed Wednesday-Friday, December 24-26. The following week, it will be closed on Thursday, January 1. Mark your calendar for December 21 for the annual Christmas Cookie fellowship. Members are asked to bring a plate of Christmas cookies. Last year, there were about 25 plates of various yummy and ethnic, Christmas cookies. This is so much fun. We will have some bags for any leftovers, but these special cookies usually fly off the table! Please see Sue V. if you have questions. As in years past, we are accepting donations for the staff Christmas gift. This is our way of saying thank-you to the folks behind the scenes that keep things running smoothly here at Good Sam. If you wish to donate, please either write Staff Gift in the memo line of your check, or in the “Other” line on an envelope found at the Information Station (at the back of the sanctuary). – Tim P.